The Webpreneur. Do you have what it takes to build an online business? Wait, don’t answer that question so fast, because most don’t. I was born in 1980, so I grew up on the all the Rocky movies. 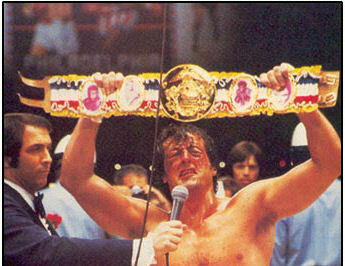 For me, what comes to mind when I think about what it takes to build a business is the whole Rocky series. I remember when I started my first business and it had finally got to a point where it was making me more than my job. The feeling I remember, was like when Rocky beats Apollo Creed in Rocky 2 and at the end he says, “Hey Adrian, I DID IT!” I still almost come to tears when I see that. Because it does take blood, sweat, and tears to really build something…..but it is worth it! So What Can I Expect Here? This page is about having the right mindset, it’s about what it really takes to build a business, to build a legacy. There will be no hype here. There will be no rah rah. It’s no holds bars, I will save no punches, it is nothing but the truth….and as the another movie goes, most people can’t handle the truth. How to lead others…..are you worth following??? There is a price to pay for passive income, are you willing to pay it!? These will just be some of the topics I will cover on this page. There are many, many people that start a business but very few ever become successful. 8 out of every 10 start up businesses will fail in their first 5 years, and out of the ones that make it, 8 out of every 10 of those will fail in the next 5 years. My goal here is not just to help you start a business, but how to finish it! i.e. How to make it a thriving successful business that doesn’t become a statistic like above. If you are looking to start an online business then I recommend you check out my #1 recommendation for The Best Online Marketing Training System, and continue to come back to this page and posts for the mindset, the motivation, and the planning to see your business through! If you have any personal, business success stories, if you would like to see any other topic, or if you have any questions, please leave them below. Your comments are greatly appreciated and will be responded to very quickly.